Note: I was on the judging panel for the 2012 Aurealis Awards which awarded Perfections with Best Horror Novel. Perfections is the second novel by Kirstyn McDermott, originally released as an ebook only from Xoum, and recent re-released by Twelfth Planet Press as a gorgeous paperback. McDermott’s debut novel, Madigan Mine is also being re-released by Twelfth Planet Press as an ebook. First thing: I am so happy to be able to own a physical copy of this book. I read a lot of ebooks, but for books that I really love (spoiler: I love this book), I really like having a physical copy on the shelf. And this is a seriously gorgeous book, with stunning cover art by Amanda Rainey. Second thing: I am a massive fan of McDermott’s work in general. In terms of craft, she is extraordinarily talented – at a sentence level, her prose is lyrical and evocative, and her characters are always exquisitely drawn. From the moment they step foot onto the page, they live and breathe and feel; combine this with the darkness that twines through most of McDermott’s work, and you have something truly extraordinary. Perfections is what I’ve come to expect from McDermott – grounded in reality, but a reality slightly twisted, threaded through with dark magic. I don’t want to talk too much in depth about the plot of the book – there are details that aren’t really spoilers, but I believe that the reading of the book is a much richer experience if you don’t know them. Perfections is, at its heart, a book about sisters, about daughters, about mothers. It is a book about the way families can twist around secrets (and oh, the secrets that this family has). The reader moves back and forth between the viewpoints of two sisters, Antoinette and Jacqueline. Both are skilfully drawn, and it is very easy to feel empathy for both of them and the situations that they are in; especially well done is the juxtaposition between how they see themselves and how they are seen by their sister. There is darkness here: both of the human variety (and kudos to McDermott for how well she handles some of the true nastiness in her characters – it always makes sense, and is never there for the sake of a character having to be nasty to justify a dark genre), and of the fantastical. There is some particular imagery from near the end of the book that I will likely never be able to get out of my head (if you’ve read the book, I bet you know what I mean). And, without spoiling anything, Perfections has a seriously good ending. Reading as a reader, I was utterly captivated by this world (and loving some of the connections to McDermott’s other work). As a writer, I was torn between deep envy and deep admiration for just how damn well McDermott writes. The envy doesn’t last long, of course, especially when an author is as damn nice as McDermott is. Horror and dark fantasy are genres that have, at times, a bad reputation – I know plenty of readers who won’t even touch something that might be horror. And honestly, with some of the books and movies that are in the genre, I don’t blame them (reputations are, sometimes, justified things). And yes, sometimes there is absolutely nothing wrong with gore for the sake of gore, fear for the sake of fear. I do wish that some of the readers who shy away would pick up books like Perfections and realise that there can be much more to the horror/dark fantasy genre. Perfections is an incredible book. It is haunting and evocative, presenting a world that is just so slightly askew from our own, but populated with characters who live and breathe so well that they could be anyone you know. McDermott is one of Australia’s best writers of dark fiction, and if you haven’t read any of her work, Perfections is an extremely good place to start. And then prepare to devour everything else. 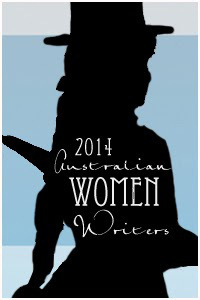 I’d debated about whether I was going to sign up for the Australian Women Writer’s Challenge again this year. Not because I didn’t enjoy the challenge last year, but simply because I want to focus most of my energy on writing this year, and not so much on reviewing. But then while looking through my Goodreads feed, I found a book that I want to read for the challenge. And so, I am signing up again. I am signing up at the Franklin level again (read at least 10, review at least 6) and will be cross-posting my reviews on the blog here (and from here to Livejournal and Dreamwidth and Tumblr) and at Goodreads.